CD Chivas USA ceased to exist Monday. It finished the season out of the playoffs yet again and with the worst attendance (7,000 plus on average) in MLS by far. What does the league plan to do next? Another team in LA of course! Chivas USA came into the MLS in 2005 and owner Jorge Vergara essentially made the club a development team (more or less) with a few over the hill veterans sprinkled in to make it look like it wasn’t a development team. Needless to say that plan failed. Pretty much every other plan after that failed too as the club went through 9 coaches in 10 years and failed to make the playoffs in it’s last 5 years of existence. MLS Commissioner Don Garber recently said that the Chivas strategy was ‘not on target’. This is true but why? Well it started with the above decision and in all honesty never recovered. The club also focused too much on appealing to Hispanic fans in an attempt to mimic the Chivas de Guadalajara model, their parent club. Maybe if it worried more about appealing to soccer fans in general as opposed to a specific market then it may have found some better success at the gate. MLS will announce another team for the LA market on Thursday. This team will take the field in 2017 and will eventually have it’s own stadium so that they do not have to share a place with the crown jewel of MLS the LA Galaxy. So what lessons have been learned? Not many because MLS is pretty much replicating the Chivas USA disaster with New York City FC (NYCFC). NYCFC will begin play next season in Yankee Stadium and is being backed by the owners of Manchester City (the Abu Dhabi government for those of you playing at home). Foreign owners, big checkbook, and no stadium to call their own. Gee, that doesn’t sound familiar. In NYCFC’s defense they did hire one of the best coaches in all of MLS in Jason Kreis. Kreis has won an MLS Cup already with Real Salt Lake and taken them to another. Imagine what he can do with a big checkbook at his disposal. Then again, convincing players to come to a club that will play on a baseball field may be a hard sell regardless of the fact that it is in New York City. 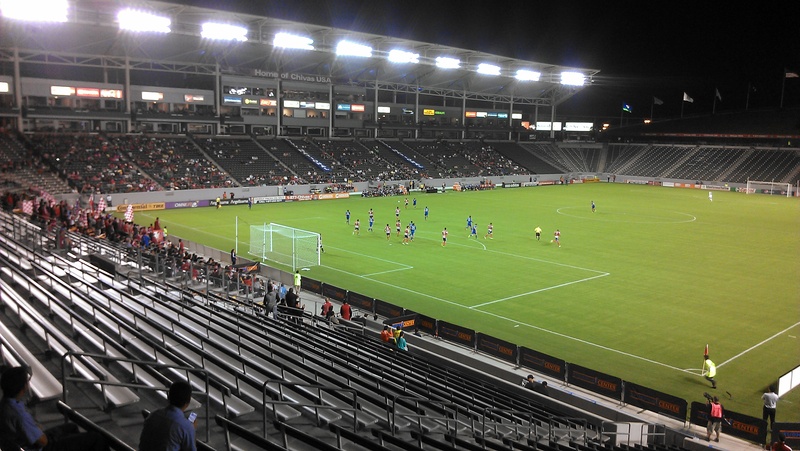 Chivas USA was an unmitigated disaster. Yes MLS was in a different place 10-12 years ago but Real Salt Lake came into the league at the same time as Chivas USA and all they have done is win an MLS cup, compete for another and become one of the most impressive clubs in the entire league. ‘Not on target’ may be too light of a phrase. Can the new club be successful? Maybe. Even with great ownership it’s still a maybe. LA is a tough market and there is so much competition for the entertainment dollar. MLS would have been better served with moving the club to Sacramento or Las Vegas and wiping the slate completely clean vs leaving some of the residue in the pan. In any event ‘LA2’ as it is being called will be upon us soon enough and we’ll see if two clubs in LA can actually work.